I love color and fabric and have been sewing since I was 10 years old. I am self-taught and learned to sew by making string-quilt blocks on newspaper squares using a treadle sewing machine about 50 years ago. 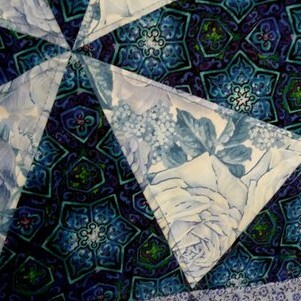 I like the traditional quilts, but also like to work with different patterns and colors. I like it all! The quilt picture with your bio is just beautiful. I love traveling through Arkansas and I love to check out local artisans whenever I can. Do you have a shop somewhere in the state?